Barely sweetened with maple and coarse sugar, the maple yam danish ($4.25; pictured above) at Bien Cuit Bakery is almost savory. You’ve probably had candied yams on Thanksgiving sweeter than this, but something about eating two carbs in one makes you feel like you’re getting a treat. And for the price, you’ll be glad it has some heft. 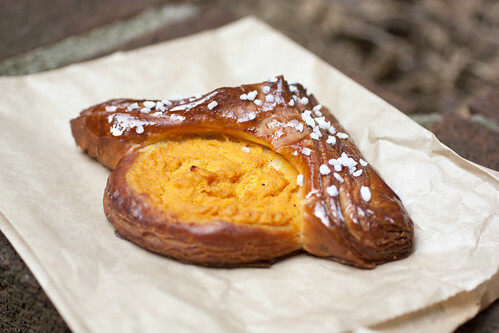 The yam danish was recently replaced with a cassis danish with black currant cream for the spring, but look out for it. It’s a favorite that always makes a return. 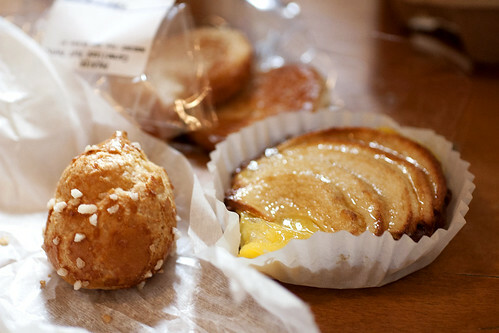 More friendly on your wallet are the chouquette from Ceci-Cela at fifty cents each. The little poufs are airy, but with a light golden crust, and most importantly, studded with enough coarse sugar so they’re a touch sweet. Just enough so you can add sugar to your coffee if need be. If a sprinkle of sugar doesn’t excite you, what about a sprinkle of salt? 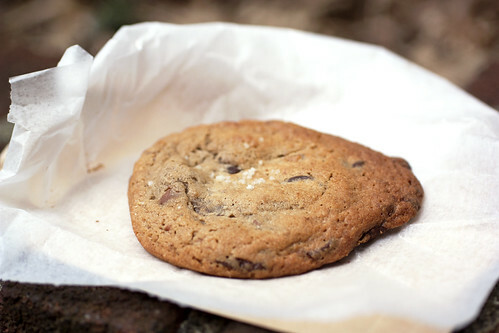 The chocolate chip fleur de sel cookie from Macaron Parlour is sweeter than the two pastries above, but the flakes of sea salt on top balance it out very nicely. Quite impressive when the cookies are chock full of chocolate. Really sweet or just a little sweet, New York has you covered.